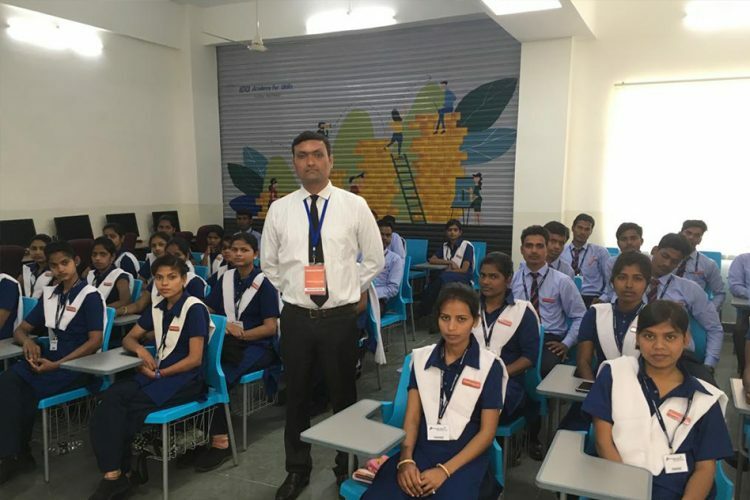 Just over ten kilometres away from the tourist attractions of the lake city – Udaipur, a humble non-governmental organisation (NGO) Narayan Seva Sansthan (NSS) has been transforming scores of lives over the last 35 years. Nestled between the hilly terrain of the Aravallis, NSS has built what it calls a ‘Smart Village’- a self-equipped compound which empowers underprivileged differently-abled people. The organisation’s noble work does not end there. Not only does NSS provide medical treatments free of cost, but also provide vocational skills training while the patients are in recovery. The compound houses a modern hospital facility, a school, an orphanage, skills development centres, rehabilitation and physiotherapy centres as well. 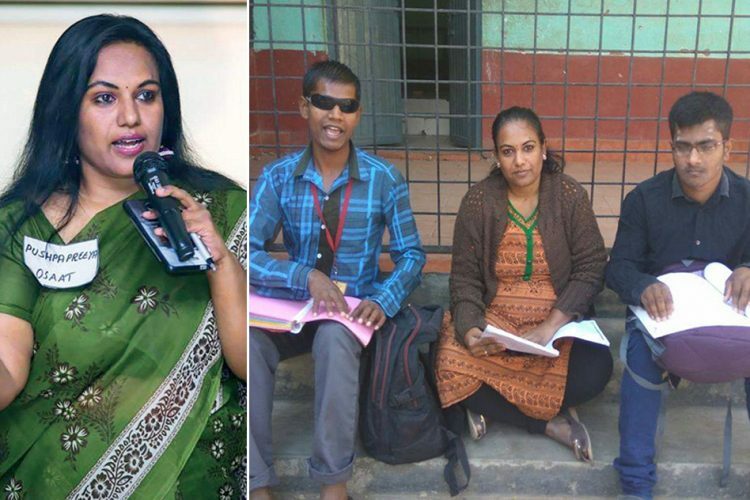 The organisation’s emphasis on free vocational training courses for people with disabilities is what makes NSS so unique. NSS began its operations in 1985 and was set up by Padma Shri awardee Kailash Agarwal ‘Manav’, however, their work was exclusively restricted to social service. 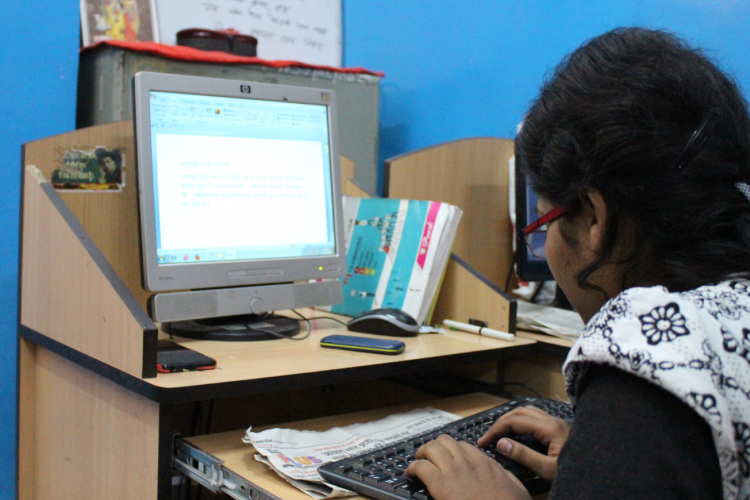 It wasn’t until 1997 that the organisation opened its doors to the differently-abled people. Presently, NSS’s prime mission is to rehabilitate the differently-abled and enable them to live with dignity, hence the emphasis on vocational training courses. NSS runs two hospitals which house 1100 beds in Udaipur, Rajasthan. Apart from that, 480 branches in India and 49 branches abroad work in tandem to alleviate disabilities. With 125 medical staff, the two hospitals conduct over 70 surgeries on a daily basis. The relentless efforts of a dedicated team have helped to operate on 3,33,427 individuals free of cost. NSS has set up similar facilities in Uganda as well where the organisation has helped thousands of people with disabilities. 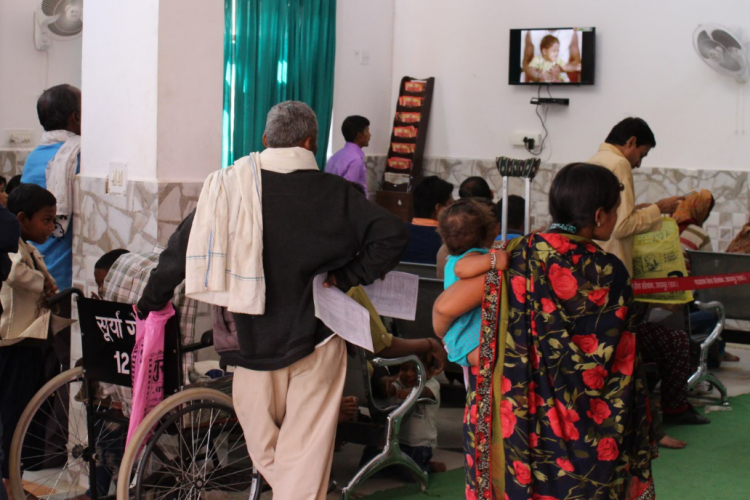 NSS runs two hospitals which house 1100 beds in Udaipur, Rajasthan. 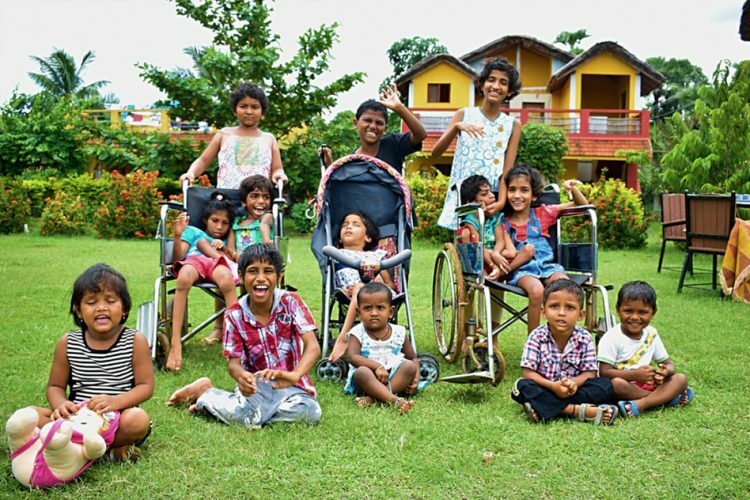 Narayan Seva Sansthan President and son of Kailash Agarwal, Prashant Agarwal told The Logical Indian that NSS offers corrective surgeries to polio victims, cerebral palsy patients and those suffering from “by-birth” disabilities. He said that NSS has become a beacon of hope for the underprivileged differently-abled because it offers complex medical treatments which are often times not carried out by surgeons elsewhere in India. 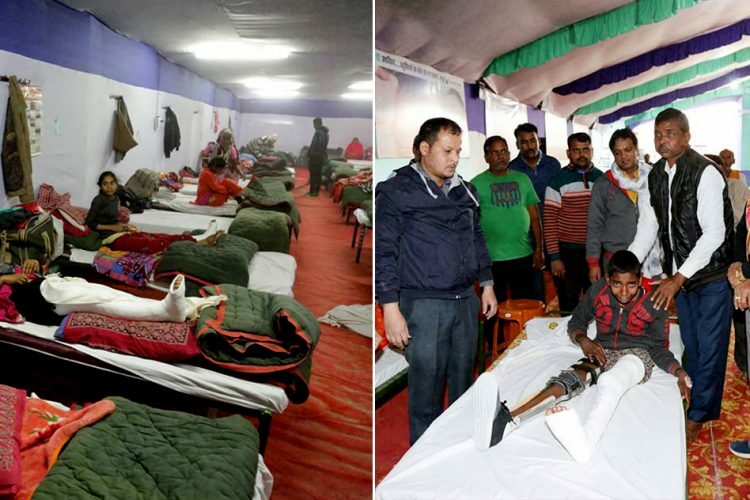 In addition to surgeries, the hospital, located in Badi offers callipers, modular equipment, tricycles, wheelchairs and prosthetic limbs all free of cost. Prosthetics are manufactured in-house to reduce the prices. 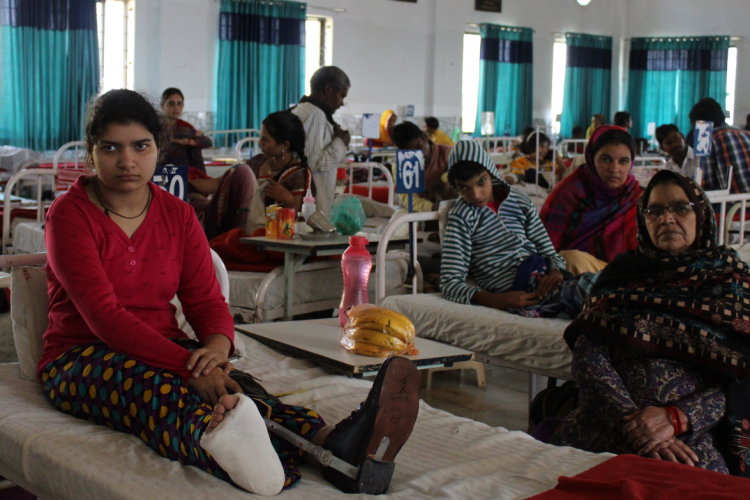 The NGO offers over 25,000 callipers and 11,000 modular artificial limbs each year. Having worked with differently abled people for so long, Agarwal understood that there is a sense of void that engulfs most of them. He said, “They do not feel motivated to do anything and neither do they feel like they are capable of living an independent life.” Since 2011, self-reliance for the differently-abled people became the motto for NSS. Shyam, a 25-year-old man with disabilities in his limb told The Logical Indian that he first came to NSS to get callipers made. 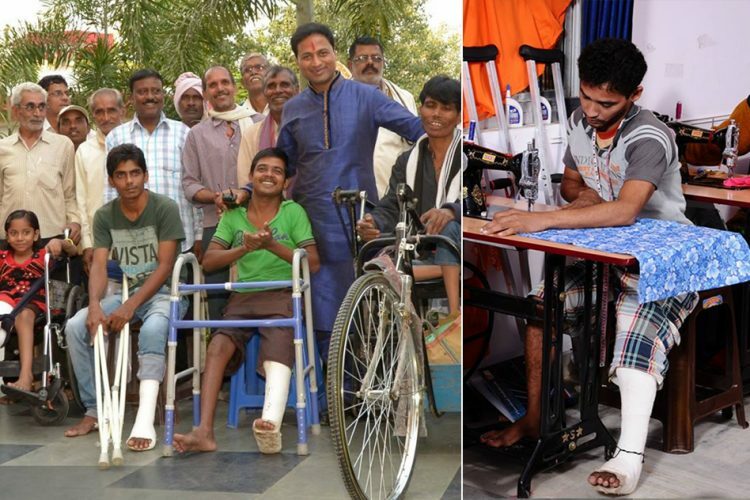 When he’s not at physiotherapy, Shyam can be seen taking mobile repairing classes with 25 others. These classes run every day from 10 am to 5 pm. 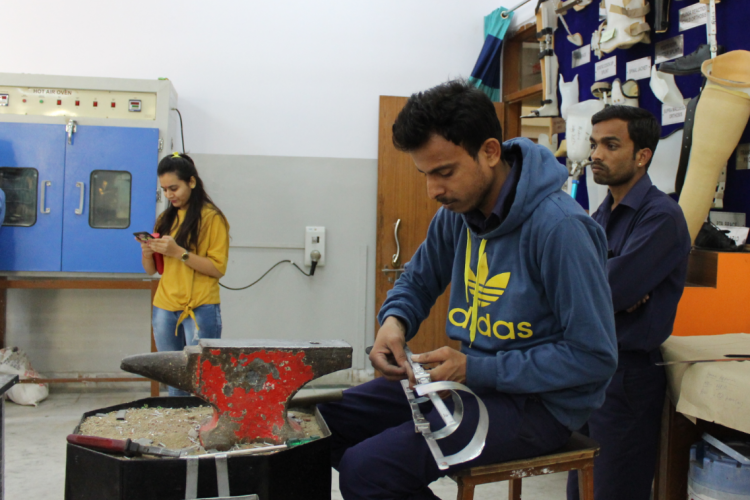 The course is two months long and after leaving NSS, Shyam hopes to start his own mobile repairing shop in his hometown in Uttar Pradesh. The story is similar for many others like him who are enrolled in different vocational courses. The patient’s food and lodging during their recovery period are also free. The organisation has also started sports competitions, fashion and talent show, exclusively for the self-made people with disabilities. NSS also organises mass marriage ceremonies. In doing this, the organisation steers clear of any kind of discriminatory practices. Prashant Agarwal said that the organisation serves all, irrespective of caste or religious views. Much work has also been done by NSS to educate the orphaned and the underprivileged children. 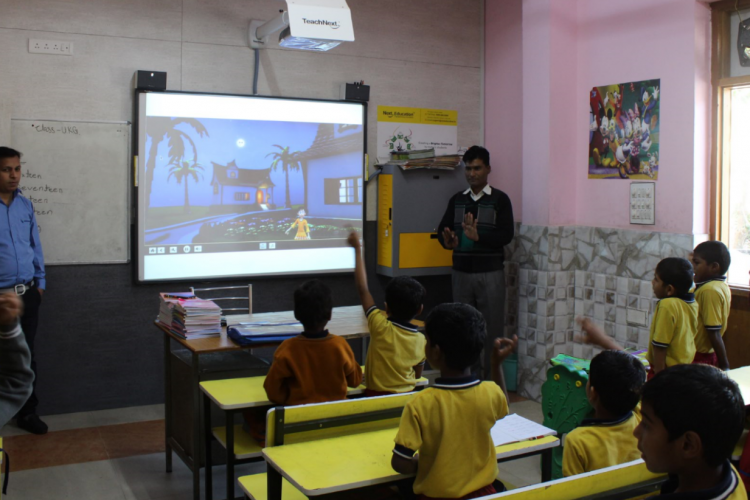 In 2015, under the banner ‘Narayan Children Academy’, they brought forth a digital classroom initiative for underprivileged children. Presently, the school teaches kids from lower kindergarten to class VII and follows the state board syllabus. Each classroom is equipped with high-quality audio and visual mediums which helps students to realise their potential. Apart from that, NSS also runs a school for children with hearing or visual afflictions. While NSS has become a brand in itself, in the months to come, it is planning to take on two ambitious initiatives. The first one is called the ‘My Need Help’ project which aims to collate social data with utilities like hospitals, ‘dharmashalas’ (guest houses), educational institutions etc. exclusively for the benefit of the differently abled people. 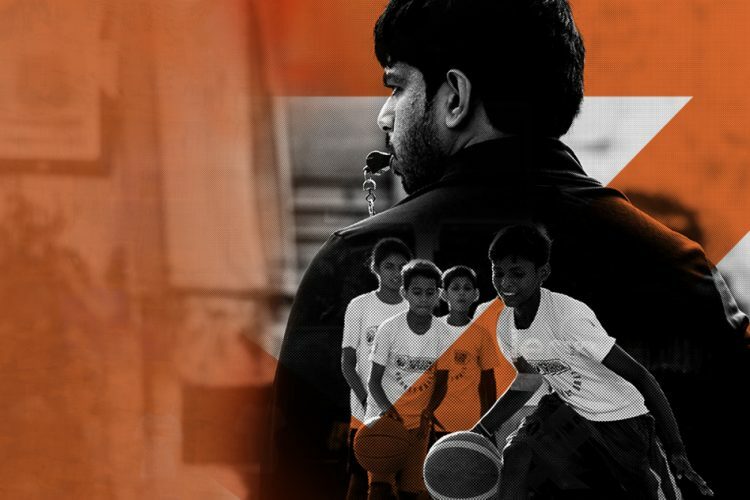 The second project at hand is to open up a differently-abled friendly sports training facility in Udaipur. While work is underway to build a state-of-the-art facility, equipped with all modern training gear, Prashant Agarwal said that the stadium will be ready in another six months. Apart from this, the Agarwal family and their NGO work extensively to lend their support to and uplift people belonging to the poorest of the poor segments of the society. With camps and events organised across various cities, NSS aims to not only create awareness on disabilities but also invest in as well as empower as many as possible. The Logical Indian community applauds Narayan Seva Sansthan’s efforts towards making this world a better place for the people who need it the most.